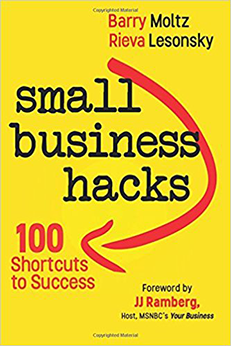 Business Writing Tips: For Easy and Effective Results" is a short, but tips-filled guide for writers who are facing writing roadblocks. The book focuses on the grammar rules, fixed beliefs, and inefficient rules that keep writers from allowing their natural style to shine, whether they are writing an employee memo or 100-page business report. With "Business Writing Tips", writers learn how to balance grammar, purpose, and their own writing style. Writing is a fact of business and life. From the “LOL” Tweet or Facebook post to the 52-page business report, we all seek to create writing that is effective and impactful. The problem is that most of us are still writing to impress our English teacher. As a result, we carry over assumptions and behaviors about the writing process into our writing as grownups. 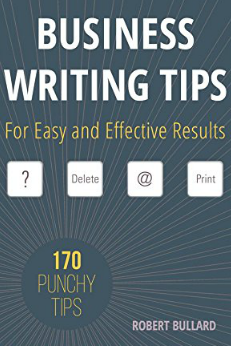 If writing was difficult for you as a student and still remains difficult Business Writing Tips For Easy and Effective Results is a book that promises to ease the transition to a better way of writing. What is Business Writing Tips About? Business Writing Tips starts off where all of our writing begins, in the mind. When most of us went to school, we were taught the “game” of writing. In that game, higher points went to the paper that featured the longest content and the most difficult words while making as few grammar mistakes as possible.With that kind of goal, the emphasis is more on the “rules” than writing style. Fast forward a couple of years. Many of us haven’t graduated from this level of writing. Because of this focus on “avoiding the penalty,” Business Writing Tips argues that we don’t use our personal style when writing. This emotional and mental “baggage” is what keeps us from writing in a more natural and easier way. Getting back to a more natural (and easier) writing style is the intended focus of the book. Writing teacher and author Robert Bullard doesn’t want readers to discard all grammar rules, but he asks them to consider their purpose when writing. He invites readers to dissect and analyze their own writing style (and that of others) to create what works for them. Balancing style, purpose and grammar is the key to good writing. Good writing should not only look good (grammar) but it should also feel comfortable for the writer (style) and serve its intended purpose. Bullard is a former features writer for newspapers who now works as a copy editor, proofreader and book coach. What Was Best About Business Writing Tips? The best part of Business Writing Tips is the focus. 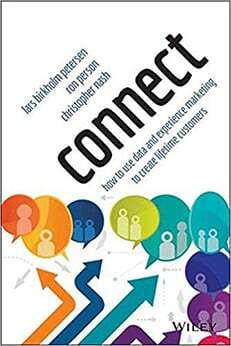 The book balances a focus on grammar with a focus on style and intent. In other words, the book doesn’t simply tell readers how they should write. It gives suggestions on the process and style of good writing. This emphasis is shared in the various exercises of the book, aimed at making each individuals writing more effective. Business Writing Tips is a great introduction to the writing process without all of the “baggage”, a message that will most resonate with beginning writers. Writers with more experience may find that some sections of the book may cover material with which they are already familiar. That being said, the book’s approach of helping to relieve a writer’s baggage may prove helpful even for those writers who know the grammar rules but still have trouble writing. Why Read Business Writing Tips? If you are a person who has always struggled with the writing process, Business Writing Tips might be able to help. While grammar rules can easily be searched on Google, the process and style of using those rules can’t. That’s where the book shines. Bullard has years of experience in writing (as a journalist, proofreader and coach) and uses that experience to target the mental roadblocks that get in a writer’s way. His book is designed to help readers appreciate and draw out their unique writing styles so that they can create impactful and effective writing. Charles: Now I have learned a new word: punchy! 😉 I wonder if the book is available in audio format? Martin, There is an audio format on GetAbstract. Glad to share ‘Punchy’ with you! Useful concept for a book, i have been struggling to get the right balance between expressing myself in the way that i want but also being cognizant of the way that i’ll be perceived if not done in an academically congruent way.